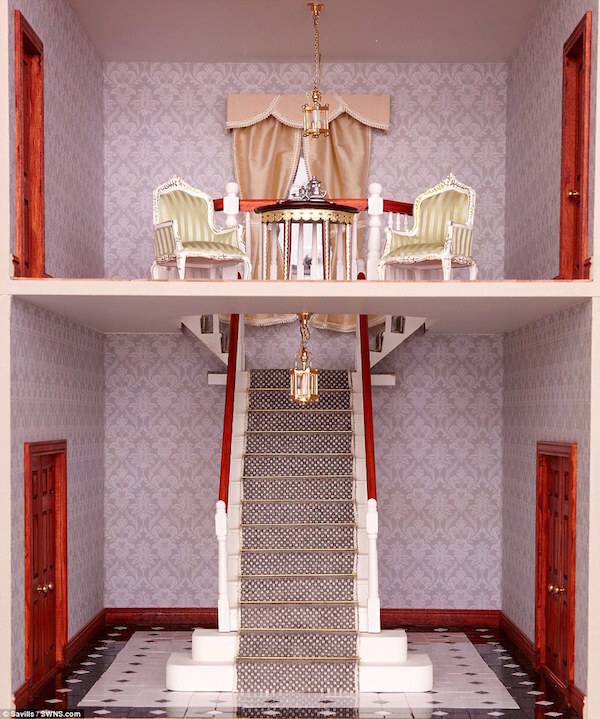 While Nina Campbell‘s granddaughter may be the distinguished designer’s youngest client, her dollhouse, featured in our recent video, may have set her grandmother on a new course. Working on large properties with five stories, two kitchens and a private garage isn’t out of the ordinary for Nina and her team but Walton Park, below, presented a new set of challenges. 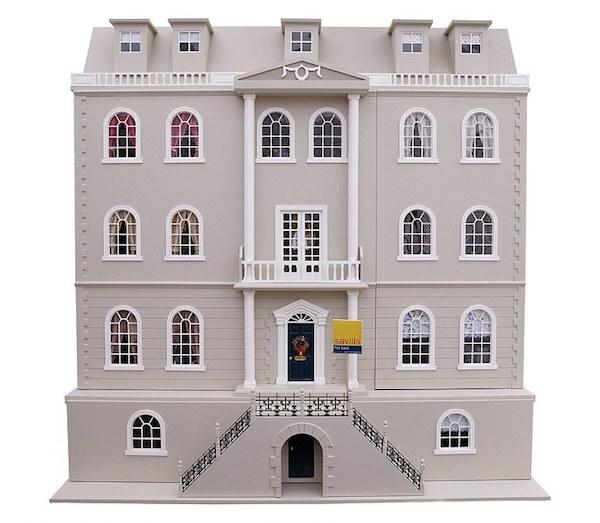 The elegant town house, being sold by Savills for £25,000, may seem like a bargain for a period property until you consider that only a doll can live there. 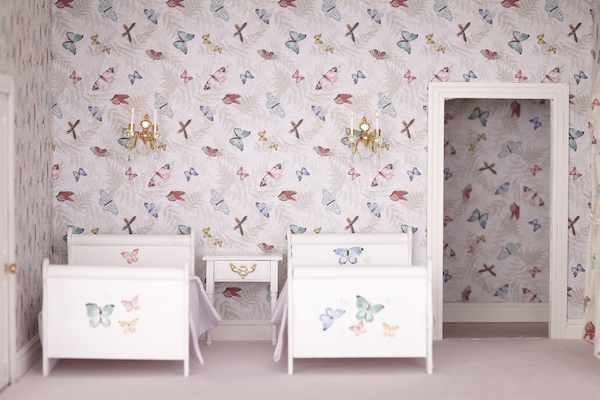 A creative collaboration between Lucinda Croft, managing director of Dragons of Walton Street, the luxury children’s furniture purveyor, and the designer, the house features miniature versions of Nina’s wallpapers and Dragons furniture, along with parquet floors and remote control lighting. With a drawing room, library, master bedroom and three additional bedrooms, a bathroom, utility room and a garage, it is move in ready. 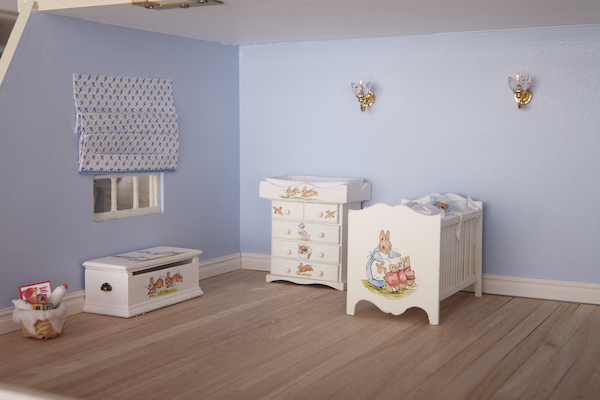 A Beatrix Potter themed nursery is furnished with hand painted versions of Dragons favorites. When the dollhouse sells, 10% of the sale will be donated to St. Michael’s Fulham, a charity set up by and for young people. And for those in the spirit, the house is already decked out for the holidays. And while only one version of Walton Park is available for delivery before Christmas, Dragons will be taking orders for 2015. This entry posted in gifts, holiday, interior design. 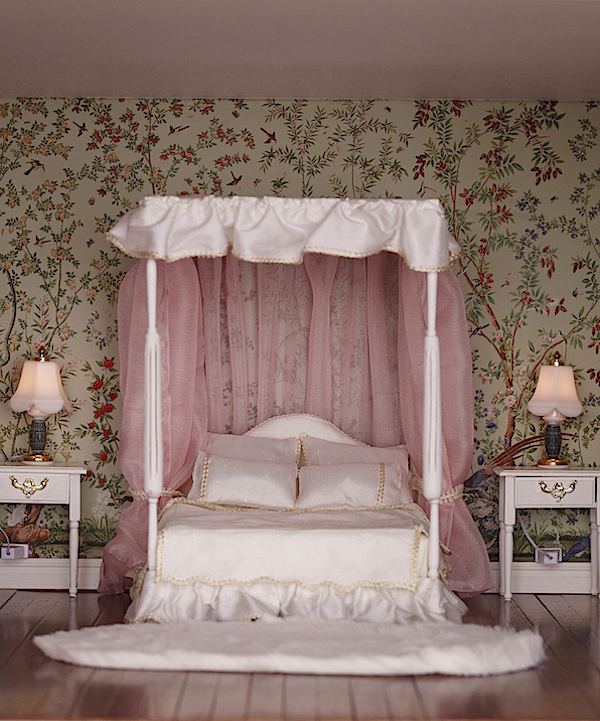 Entry Tags: doll house, Dragons of Walton Street, interior design, Nina Campbell, Savills, Walton Park Bookmark the permalink. Yes, what an incredible little luxury home! So cute!! I love it! Amazing detail! 80 queries in 0.467 seconds.